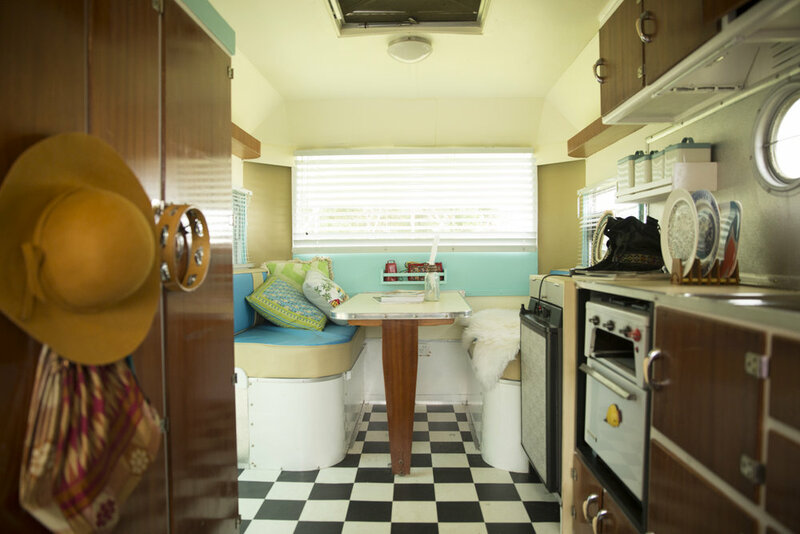 ‘Miss Myrtle’ is a quirky, cosy vintage caravan that is perfect for two people. She has been within our family for three generations!! She was ‘born’ in 1955 as a CARAPARK Hunter Sixteen Two and was discovered sheltering in a carport in the mid-'90s. After her rescue she served as an office for nearly two decades. In 2013 she was again lovingly rejuvenated, keeping as many original '50s features as possible. In 2018 we installed an air-conditioner inside. No further alterations will be made to her, in order to keep her as original as possible. 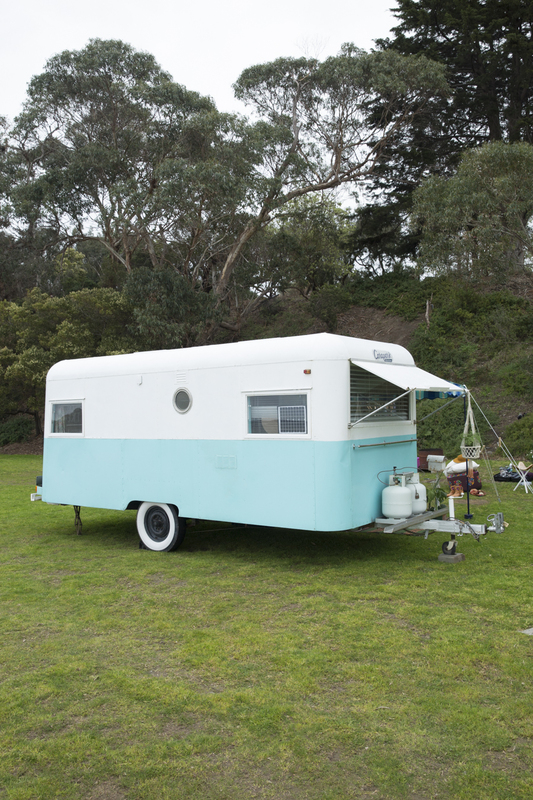 We tow 'Miss Myrtle' to your chosen location before you arrive and set her up for you! After your stay we return to pack down and tow her away. Her hire includes delivery within our service range, towing, setting up, styling and packing down. NOTE: No cooking is allowed inside. You can bring your own gas cooker, pots, pans, cooking utensils, etc and cook outside. Our rates do not include your location fees. Please contact your preferred location for the fees. * Rates apply to our recommended locations. Please enquire for a quote to stay elsewhere. A security bond of $200 is required to lock in your hire. This is separate to the hire fee and is fully refundable within 7 days providing all goods are returned in original hire condition. See our FAQs for information on one night stays.